Established in 1977 at the University of Mississippi with funding from the National Endowment for the Humanities (NEH), the Center for the Study of Southern Culture (CSSC) was initially proposed by history professor Robert Haws and philosophy professor Michael Harrington, who suggested creating a place where scholars would study the South’s literature, history, and music with a specific focus on race relations. The university’s vice chancellor for academic affairs, Art DeRosier, and chancellor, Porter L. Fortune Jr., supported the proposal, and folklorist William R. Ferris, a Vicksburg native, became the center’s founding director, serving from 1978 to 1998. Charles Reagan Wilson followed Ferris, holding the position through 2007, and Ted Ownby became director the following year. The CSSC’s first program was the 1977 Eudora Welty Symposium, which featured the Mississippi author in person. An interdisciplinary program working with university departments and faculty, including anthropology and sociology, English, history, literature, art, and political science, the center offers more than sixty courses covering life, culture, and heritage in the American South. Although it began with a focus on southern US culture and history as a microcosm of the American experience, the CSSC has broadened its scope to encompass the future of southern culture, the global South, and challenges to long-held conceptions of what is southern. 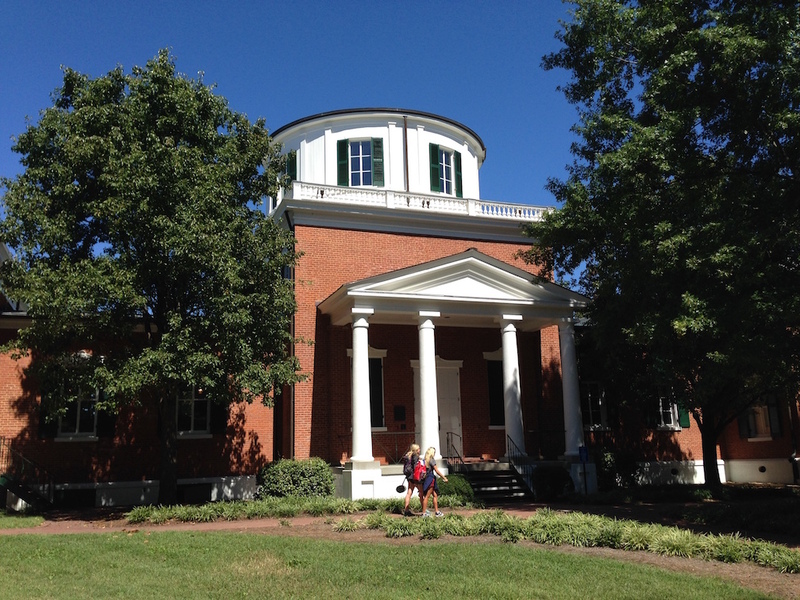 The CSSC found a physical home on the university campus in the historic Barnard Observatory, built in the late 1850s and renovated in 1989–91. One of the first regional centers in the nation, the CSSC, with an NEH grant, developed a bachelor of arts program in southern studies and a master of arts program that accommodates about thirty students from around the world. Awards are presented to students for excellence in research papers on the South, with special prizes for the best master’s theses and works on music and documentary media. The Gammill Gallery in Barnard Observatory displays the work of students and teachers as well as visiting collections from across the nation. Much of the center’s research is housed in the Department of Special Collections and Archives at the university’s J. D. Williams Library. The CSSC began the Southern Media Collection, now housed in the library’s visual archive, and the Blues Archive, the largest public blues collection in the world. The CSSC’s work led to the creation of several affiliated institutions, such as the Southern Foodways Alliance, which holds its annual Southern Foodways Symposium on the university campus each fall, and the William Winter Institute for Racial Reconciliation. The center has also partnered with the university’s Southern Documentary Project and has published several periodicals, most successfully Living Blues, a magazine devoted to blues musicians and the culture that produced them, founded in 1983. The CSSC helped establish Highway 61, a blues program on Mississippi Public Radio, with Ferris as the first host. Wilson and Ferris edited the Encyclopedia of Southern Culture (1989), which won the Dartmouth Prize from the American Library Association as the year’s best reference work. From 2006 to 2013, the CSSC produced the twenty-four-volume New Encyclopedia of Southern Culture. Other CSSC publications include Dorothy Abbott’s multivolume Mississippi Writers (1985–91) and the online journal Study the South. The CSSC is recognized for its worldwide symposia and conferences, including a Richard Wright conference in Paris and a William Faulkner conference in Moscow. The University of Mississippi campus in Oxford hosts most conferences, however, including the Faulkner and Yoknapatawpha Conference, the Oxford Conference for the Book, the Southern Foodways Symposium, the Future of the South Conference, the Blues Today Symposium, and a weekly lecture series. Funding for the center’s projects has come from the National Endowment for the Humanities, the Mississippi Arts Commission, the Mississippi Humanities Council, the Ford Foundation, the Phil Hardin Foundation, and Friends of the Center. An advisory committee has assisted the CSSC’s work since its beginning. David Sansing, The University of Mississippi: A Sesquicentennial History (1999).